Can we talk about how amazing these photos are? I totally get why they call it the "golden hour." Andrew is really killing it lately (he takes all my blog photos)! Crazy to think how far we've come since he first shot my blog photos on the beach in Atlantic City. 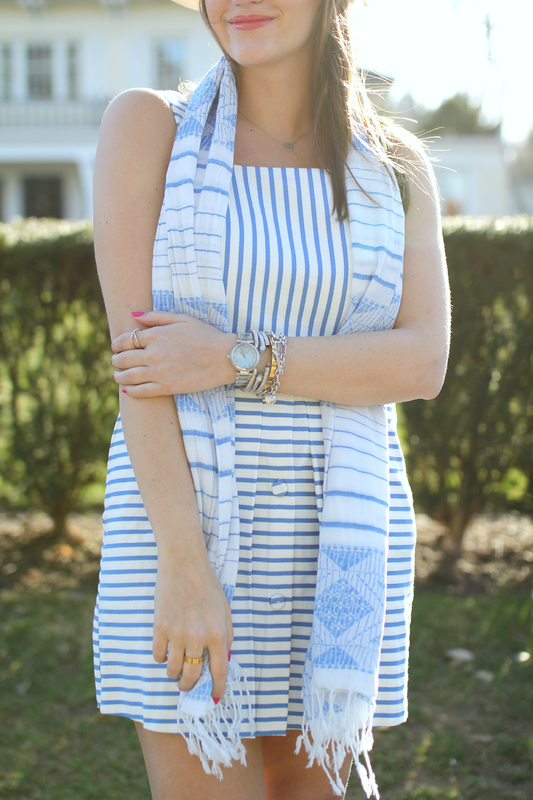 Now about this dress... no surprise here that it's blue and striped. 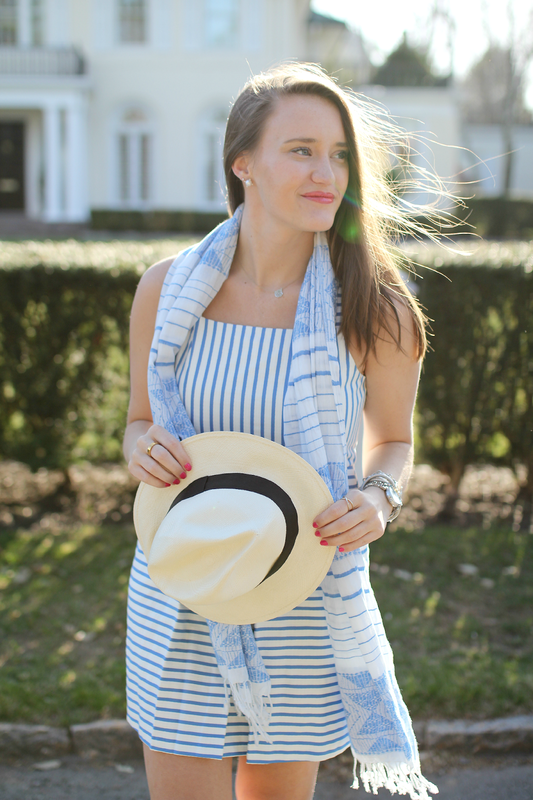 It's the perfect little thing for spring and summer to throw on with Jacks and a fun hat. The scarf (only $12) was just a little extra somethin' somethin'. The dress is also under $100 which is so legit. I'm also excited to break out my panama hat again! I wear this all the time in the summer (throw it back to this post, this one, this and finally this too featuring the hat). It's such a staple piece in my closet I don't know what I'd do without it. Love the shades of blue. Lovely! I love this look. The blue is so pretty, and the sun makes it even better! One of my favorite posts of yours, Krista!